Despite the fact that the number of users on Android are more than any other platform, it is still not problem free. Though Android development has been working hard to make it better, several problems are yet to acknowledge. The black screen of death, like BSOD in computers, is a type of problem that has no exact solution. 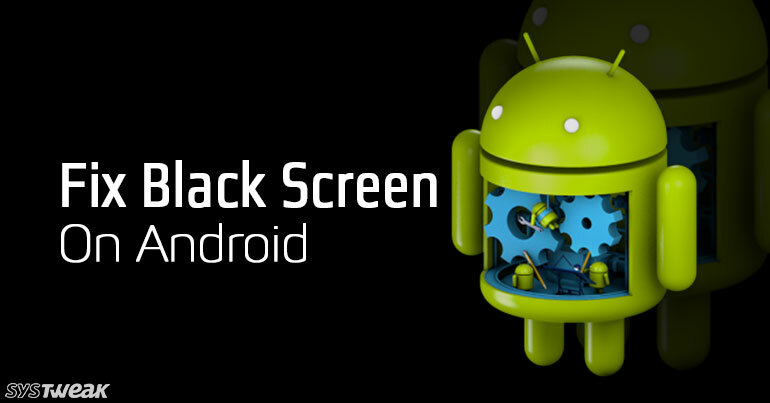 There’re many usual ways that you can try to fix black screen of death on Android but one sure action is yet to be discovered. The error may appear in any version of Android and is hard to identify if it is the black screen problem. There are a few symptoms that your device might signal like the phone light is blinking without any response or the home screen or any random screen freezes. If your phone keeps restarting itself or crashes over applications, it may also be the sign of black screen of death on Android. Today, we’re going to suggest some solutions to fix black screen of death on Android, which are worth giving a kick. Remove caches:Though it is not the part fixing the error, recovering your data is as important. To do so, power off your Android by long pressing the power key. Switch it back on in recovery mode (Volume Up Key + Home Key + Power Key) and select wipe cache partition. Deleting caches might work in bringing your device back on track by deleting the possible bugs. A. Switch off the device by long pressing the power key and switch it back on. B. Once the boot logo appears, press and hold the Volume Down button. C. Wait till the lock screen appears and check if it says Safe Mode in the bottom. Once you’re in safe mode, go to Settings > Apps and find the applications that you don’t find important. Click on the app, clear the caches and proceed to uninstall. Make sure you perform the same action with all the unwanted apps. As soon as you finish uninstalling, reboot the device in normal mode. Hopefully the problem would be resolved. If you don’t see any response after applying both the above solutions, factory reset seems to be the only option to fix the black screen of death. Factory resets clears everything on your device and makes it as it was, when you bought it. To apply factory reset, switch off your device by long pressing the power key. Once off, press the volume up + home + power key until you see the recovery mode. Select Factory reset from the list of options and put it on charge to avoid any power related interruption. Sometimes removing and attaching the battery back into slot works surprisingly and fixes the black screen of death. If your device lets you take off the battery easily, you may do it on your own. If the device case doesn’t allow the removal, contact the service center. Overall, black screen of death on Android is an unaddressed issue that can only be given a kick with the above solutions. There are high chances that one of the above solution would work and fix your device. If nothing works for you, consider seeking help from the company authorized service center.